PAULA HOLTZCLAW'S paintings are collected throughout the nation, Paula's paintings have been included in many National and International Juried Exhibitions. Museum venues include the Gilcrease Museum, Booth Western Art Museum, Muscarelle Museum of Art and the Arizona Sonora Desert Museum. 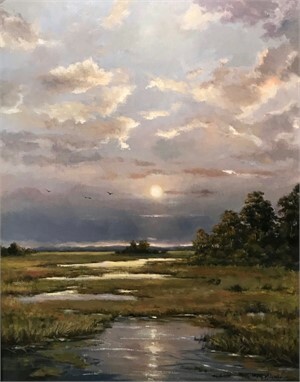 She has been the recipient of notable awards including "Best Landscape", National Oil and Acrylic Painters Society 2016, "Best in Show", Women Painters of the Southeast Exhibition 2015, "Gold Medal Award", American Women Artists 2013, "American Art Collector's Award of Excellence" WAOW 2012 and WPSE 2012. Paula was a finalist in American Artist Magazine's annual competitions 2015 and 2012, as well as their 2010 and 2009 Cover Competitions. She was selected as one of Southwest Art's "21 over 31" Artists, (November 2010) and also by Southwest Art Magazine as one to collect, July 2009. 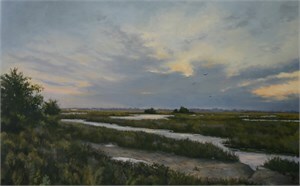 A member by invitation of PAP-SE (Plein Air Painters of the SouthEast), Paula was awarded Master Member of American Women Artists and Women Artists of the West. 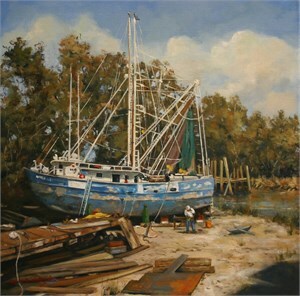 She is Signature member of The American Society of Marine Artists, The American Impressionist Society and The National Oil and Acrylic Painters Society. She is Associate Member of California Art Club, and Oil Painters of America. Paula has served on the Executive Board of American Women Artists since 2012, a 501 (c) (3) educational nonprofit organization, dedicated to advancement of women through the arts.